This set contains 4 pieces NACHTMANN Shu Fa Longdrink glasses. The modern machine-made longdrink glass of the outstanding glass collection Shu Fa is a piece of crystal art designed for drinking out of it. 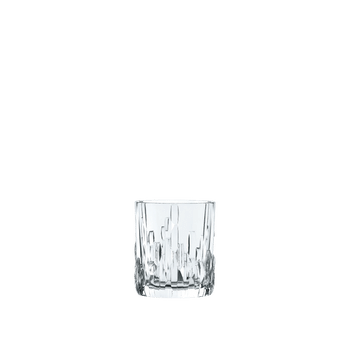 The longdrink glass is the right choice to enjoy any kind of cold alcoholic and non-alcoholic beverages. Designed by the NACHTMANN NextGen Designers Mao Churong and Gong Yining, the artful decorated glass collection Shu Fa has been inspired by the Chinese tradition of calligraphic ink paintings of local mountain rock landscapes. As all NACHTMANN crystal this item is dishwasher safe.